Consistenly deploy qualified, skilled and efficient workers in all areas and processes of production. Consistently comply to established and accepted quality standards on raw materials, finished products, plant supplies, packaging materials and others. Ensure quality conformity of all produce as required by customers aligned with international practices and standards by utilizing state of the art equipment and leading edge technology. Continuously review and improve production processes in line with new developments in the industry. Consistently satisfy customer requirements especially on product quality and prompt delivery. Citra Mina Canning Corporation, conceived in the early part of 2012, was based on the founder’s mindset of sustainability and corporate social responsibility. Raw materials used in the production are caught using sustainable fishing methods, which generates livelihood and income opportunities for the people in the community. It manufactures and toll-packs frozen cooked tuna loin and canned tuna utilizing state-of-the-art equipment. It also employs skilled workers to ensure outputs are in conformity with the customer’s specification and standards. To complement its state-of-the-art canning equipment, CMCC has two cold storages and a generator set inside the plant. This ensures that quality is consistently and properly maintained. Its by-products/wastes go to a fishmeal plant as part of its social responsibility to ensure minimal waste and maximize profitability. This is the company’s commitment to protect the environment and a safer community for citizens to live in. Write us for everything you wish to know, we will be glad to answer you. With the vast developments in the fishing industry, the company needs more individuals with positive mindsets, who are dynamic, smart and performance-driven. The Citra Mina Canning Corp. can offer multiple opportunities to enhance your professional growth and development, helping you achieve your career goals. 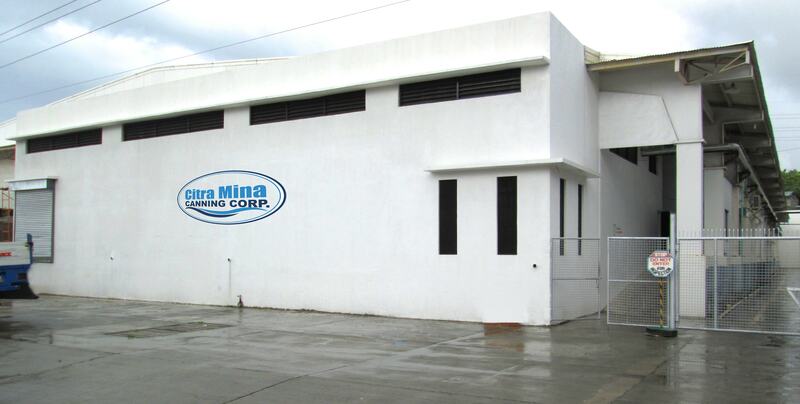 Citra Mina Canning Corporation welcomes all your inquiries regarding to your concerns. At Citra Mina Canning Corp., we are always open to partner with new suppliers that can help us increase the quality of our products. So if you think your offer is up-to our standards, feel free to contacts us. In ensuring safe and high quality fresh tuna products, we at Citra Mina Canning Corp. are eagerly interested to entertain your comments and suggestions. 2017 © Citra Mina Canning Corp.